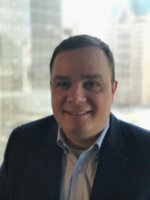 Andy Traba is Vice President of Behavioral and Data Science at Mattersight, a company that spun out of eLoyalty about six years ago to pursue the idea that you can identify communication preferences through speech analysis and use that knowledge to improve call center performance. Traba, who runs the team that is responsible for generating algorithms that turn freeform conversations into data, as well as the team that builds applications around those datasets, explained how it works to Network World Editor in Chief John Dix. What does our speech say about who we are, and how do you use that to improve call center outcomes? The way you and I communicate advertises our personalities. I generally communicate around value statements, opinions or theories of why I support things. That’s very different from somebody who cares about facts and figures and is very linear and time based, and different from somebody who communicates about feelings and emotional states. Little words we choose, such as “I” or “we” or “us”, are really good predictors or advertisements about our personality style. Machines are good at picking up on those nuances and identifying patterns. Then, once we were able to identify patterns in speech, our biggest epiphany was there’s a lot of variability and if you could connect people who communicate in a similar away, you can drive down the level of effort it takes to handle a phone conversation or you can drive up the likelihood that a customer is going to buy something by keying in to their natural speech preferences and selling them how they naturally want to be sold to. So, your the secret sauce is above and beyond voice recognition? Yes. We first have to record the phone call in stereo because we want to be able to precisely identify the caller and the agent from that track. Then we transcribe that audio file into a text file, and then, through very sophisticated speech analysis, pick up on the patterns to make assumptions or assertions about individuals. Those assertions can be the personality of the caller, their sentiment during the call (positive or negative), and even references to specific events – are they having a child, or getting married or moving to a new home? Maybe they inquired about a product they would like to be sold, or there was some degree of distress. Were they uncomfortable during that conversation? Once you’re able to identify or categorize all of those points, you can do the same on the agent’s side to analyze how the agent’s behavior or responses to those individual talking points influenced the conversation to a positive or a negative outcome. The great thing about call centers is they’re just one big laboratory experiment, because everybody is doing something in their own unique and slightly different way. Our largest clients take 250 million calls a day. If they were to turn the five minutes of each conversation into data points, you’d have a huge dataset and a perfect laboratory experiment to figure out the winning and losing behaviors on those calls. Do you cook the whole stack yourself or do you use somebody else’s voice recognition technology? We use a homegrown recording technology and a third-party voice transcription tech from Voci Technologies -- we believe they’re the best commercially available technology out there -- and then we use our own homegrown algorithm suite. Everything from speech analytics to machine learning algorithms, that’s all homegrown. Okay. And the process you described, is that happening after the call, or are you doing it on the fly? It happens when the conversation ends. We’re not providing a screen pop for the agent or the ability for a supervisor to jump in. Our position on that is twofold: the technology and expense to get there, there’s not a benefit to justify that yet; and a supervisor joining the phone call adds a creepiness factor and we don’t want to go there yet. It happens in near real time. All this information is processed after a call as quickly as you want to throw servers at it. We aggregate all that information into a shared database so we can associate the personality and behavioral information of the caller to the phone number of the individual. Then when you call into a call center, in a matter of 50 milliseconds, our routing application looks up that phone number to establish the personality and the behavioral traits and assesses, out of the available agent population, who is best able to service or sell to you. Mattersight has analyzed over a billion phone calls from our customers and we’ve taken those billion phone calls and aggregated them into a phone number database that has over 100 million numbers with associated personality style and the behavioral traits. So that dataset is created from multiple customers? Yes. Mattersight can record and analyze the phone calls of client ABC today, and take that database and apply it to client XYZ, even if we don’t record and analyze their calls. Since the phone number of the caller is the same, we already know who they are. Are your customers okay with sharing like that? We don’t share it. It’s wrapped in an application where no one has access to that style. It’s a black box model and that’s why it’s okay. We don’t sell that information per se; we’re just using it in a black box model to leverage. So, you know the history associated with a given phone number and when that number pops up in a new domain, say healthcare vs. finance, you can align the caller with an agent that perhaps would be best able to help them. Yes. We’re determining that by matching the phone number and the personality and behavior that comes along with it to the agent’s performance with working with that type of personality. That’s what’s allowing your machine learning to determine the best match. It’s using historical information about the agent to see how they performed across personality A, B, C and D and then mapping that with the phone number to say we know from past information that this agent is really good working with personality B. Give them more calls from personality B, and that will naturally elevate their performance. What’s the return on investment? How is that measured? We see anywhere from a 5% to 40% lift in whatever the key performance indicator is. The goal could be to lower call talk time or increase sales or revenue. The way that we prove that out is by toggling the system on and off in regular intervals. It’s almost like we’re creating an A/B test, what we call an active and a passive mode. During the active mode, Mattersight is routing for, let’s say, two hours, and then we return to the default technology’s routing for two hours. We go through that cycle for 30-60 days at the start of an engagement and then we’re able to compare and contrast the KPI of the active cycle against the KPI of the passive cycle. We’re confident enough that we’re going to drive value that we have a performance guarantee contract that offers a 2x return. That’s how we initially do our pricing and contract, which is unique because nobody is waking up at the beginning of the day thinking they need to buy predictive behavioral routing. But we’re confident enough that we back it up with a performance guarantee which helps alleviate concerns in the sales cycle. I would presume that if I had 100 call agents, the 10 best would be best for 99% of all callers, but that’s not true? That’s not true. What we’ve found time and time again is that even your best agent still has variability in who they are good with. On average, yes, they’re going to be better than your worst agent, but this is what we refer to as the double benefit. Say you have four agents. Number one is best; number four is the worst. If a personality type A caller calls in, agent number two might be best for them. That provides two benefits. The first is, we’re going to route the call to agent number two who is best able to sell or service this customer. But what that does is allow us to reserve agent number one, the best agent, for the next caller, and we might not have any information about that caller. So in that case we route two calls to the best people. Another way of saying that is, you’re getting more mileage out of your underperforming agents? Exactly. If you’re a baseball guy, one of the analogies we use is, we throw more fast balls to fast ball hitters and we throw more curve balls to curve ball hitters. Can you talk a bit about the personality types you have identified? We did not create the personality model that Mattersight subscribes to. The model was created by Dr. Taibi Kahler in the ‘70s. The model got its most notoriety when it was adopted by NASA as part of their astronaut selection and training process. We subscribe to the model because it is one of the few language based models, meaning it’s a theory about the words you use to advertise your personality model. It’s not really about what you are saying, but how you are saying it. Individuals can say the same thing differently and it’s those differences that advertise or highlight their personality style. But the uniqueness of our model is it has six personality styles. It’s similar in a way to Meyers-Briggs in that it starts to create archetypes of individuals. It’s different though because it says everyone has their own unique mixture of all six styles. It does not bucket any individual into one style. Can you give me a couple examples of what the six are? Sure. I’ll go into the prevalence of the North American population. The most common one in North American is the connector. The connector is all about feelings and emotional states and people. It’s more important that everyone around them is happy than they themselves are happy. The North American population is also split where 75% of connectors are female and 25% of connectors are male. The second most prevalent one is the organizer. Organizers are all about time and money and linear problem-solving. These are the individuals at work that write down lists of things to do and find joy and excitement crossing things off that list. To service these people it’s all about fixing the problem in a very efficient manner, and selling to them is about the details of the product, what the warranty covers and what it doesn’t cover. Another one to highlight is called the original. The original is your creative type. They’re playful, they’re fun, they’re energetic, they think outside of the box. In call center environments it’s important to make it easy for them. They want you to solve the problem. They do not want to put any effort towards it. In selling to them it’s all about the bells and the whistles. It’s about how unique the product is; no one else is going to have it but you. They don’t care necessarily about the price or the warranty or the quality. They want to feel its uniqueness and they want it to be fun and flashy. Those are three, but you get the idea. At parties are people afraid to talk to you because they figure you’re analyzing what they’re saying? It’s a blessing and a curse. It’s so ingrained in your head you pick stuff up. It does help in problem resolution, to tell a person what they want to hear. It certainly is one of those things that you find yourself practicing. You talked a little bit about use cases, but can you give me an example of how a customer is using it and benefitted in what way? We have a large healthcare client who is using predictive behavioral routing to improve their overall customer experience. Customer experience is important because it’s a large factor in how much Medicare will reimburse your business. People usually survey to find out that information, but the average response rate is 2% so they’re not getting the critical mass to really make that data actionable. What we do is analyze patient interactions and then predict the satisfaction level of each call. It’s just a simple 1 through 10; if this customer would have taken a survey, here’s what they would have scored you. We take that predicted value and turn it into a KPI for our routing engine, and when we connect the right people they have a better experience and that flows through into the survey score. The survey scores get better, they get higher reimbursements from Medicare. Interesting. In closing, where do you go from here? What does the future look like? In our labs we are really plugged into the whole AI/bot wave. We see AI and bots taking over more transactional parts of the journey for customers. If I want to check my balance I shouldn’t have to talk to a human. I should just be able to talk to some automated machine. You see more and more enterprises offloading some of their transactional types of interactions to smart IVR systems, and one day that will certainly evolve into the chat bot. What that’s also doing is pushing more complicated work to the agent. As machines take over the transactional and the simpler work, agents are being bombarded with the more difficult and complex work, which I think is fueling some of our growth -- when you have all these emotionally charged customers calling in, that creates a lot of transaction variability. What we’re doing in our labs is trying to figure out how to train the robots to listen and pick up things callers use, and then adapt their speech to the caller’s communication preferences. How can you train a bot to recognize that this is a connector and you should not be delivering facts and figures to a connector, you should be making them feel happy and engaged in the conversation and make sure they’re going to leave that interaction feeling warm and fuzzy. How many customers do you folks have at this point? About two dozen. We’re predominately in the Fortune 100. Do you charge per seat? We’re a SaaS based model that charges per user per month.